WATER VIEW Beautiful BEACH HOUSE!! Like NEW and rarely available by Ambleside Beach. High Ceiling & Completely Open layout with south sunshine back patio & Gourmet kitchen with Wolfe cooktop, Sub-zero fridge, Miele oven, DW + Miele coffee maker! Extra large marble island & dining room that extends into the sun soaked back deck & patio w/ outdoor gas fireplace, perfect for entertaining and dinner parties! 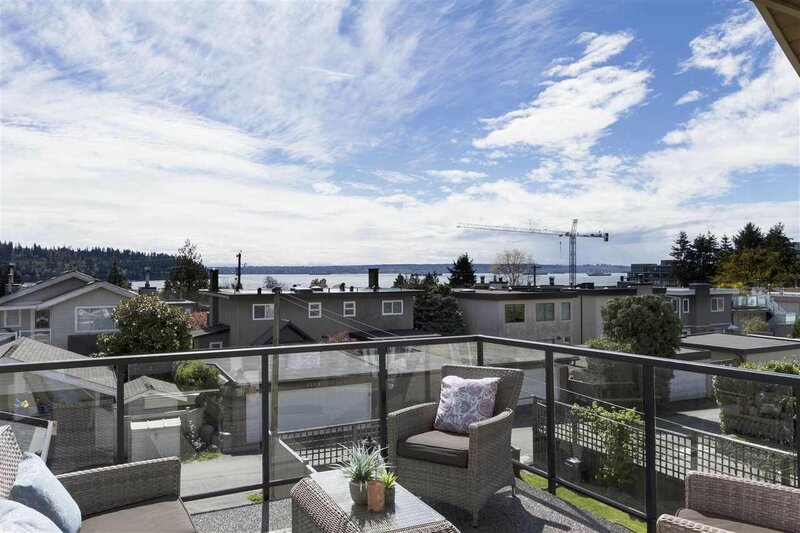 Top floor: large master ensuite w:large closet, spa-like bath,sunny beach view deck with WATER/City views & two more bdrms Shared en-suite. Basement has: seperate built-in office. Also a separate entrance with covered patio & 1 or 2 bdrm LEGAL SUITE. Steps to Park Royal, Ambleside beach and neighbours shops & restaurant. School Catchment: Hollyburn Elementary & West Vancouver secondary.